60x60 is a collection of miniatures or "signature" works from 60 different composers/sound artists. Each work is 60 seconds (or less) in length and are sequenced in order to fit neatly within each minute of the hour; each new minute is a different piece from a different artist. 60x60 creates a unique challenge for the composer/sound artist to express themselves in the concise time frame of one minute. Besides that one restriction, artists are free and specifically encouraged to express themselves in any way that they wish. 60x60 is much more than a collection of short works played one after another. The entire hour of 60 on-minute works is specifically curated or composed as a one hour long "macro-composition" containing the 60 works. All 60x60 mixes are put together by artists to create an artistic hour for audiences to enjoy. Each Music Coordinator or Macro-Composer is an artist unto themsleves creating an hour long music composition made up of smaller pieces. 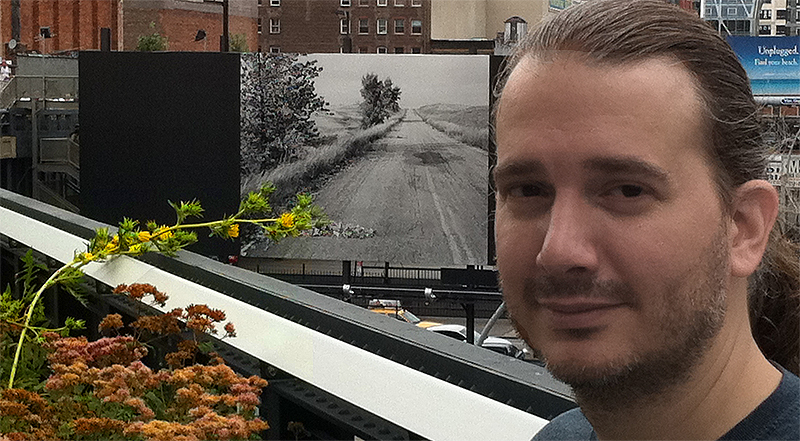 As the creator and leader of 60x60, Robert Voisey has created and "macro-composed" the most mixes. He has been responsible for creating the "main" annual 60x60 International mix since 2003. He has also organized and put together several other 60x60 mixes including: Pacific Rim mixes, Midwest mixes, New York Minutes Mix, Munich Mix, Evolution Mixes, the UK Mix, the Burgundy Mix, the Magenta Mix, the Sanguine Mix and the Scarlet Mix. c'est vraiment le concept global qui retient l'attention. Several other composers have put together different mixes. 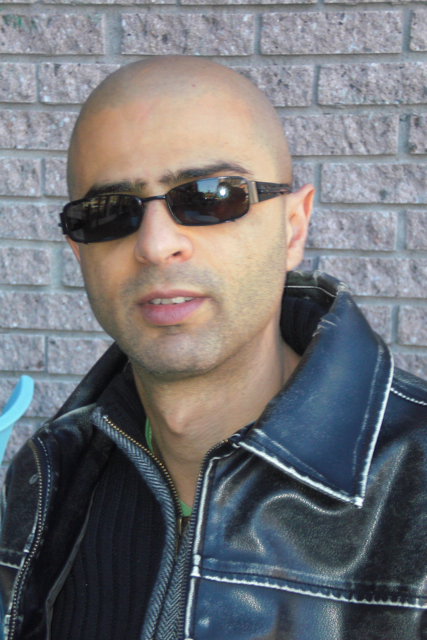 Eldad Tsabary has been responsible for putting together the Canadian Mixes as well as the Vermillion mix and the Order of Magnitude Mix. Eldad Tsabary (born 1969, Israel) is a composer living in Montreal. He composes and performs in a variety of styles including contemporary, experimental, acousmatic and sound art. His works, in all styles, are created with the concepts of fluidity and constant motion in mind and utilize unusual field recordings as well as noise and musical content. Eldad has taught electroacoustic composition, performance, history, and ear training at Concordia since 2005. He also teaches sound recording, digital audio, MIDI, synthesis, sampling, and sound for image at Formation Musitechnic since 2007. As the Canadian director of 60x60, Eldad recently organized several music, dance, and multimedia shows, including "60x60 Order of Magnitude" - a 10-hour long show at the FOFA gallery as part of Congress 2010. The show comprised 600 compositions, all one-minute-long, by 600 different composers (the most ever programmed in a single show), with 600 improvisations by 20 dancers coordinated by Stephanie Bernard, and 10 hours of live video by Michael Plante. Eldad is also the treasurer of the Canadian Electroacoustic Community (CEC) - Canada's national EA organization. James Finnerty is responsible for putting together the 2012 Canada Mix. 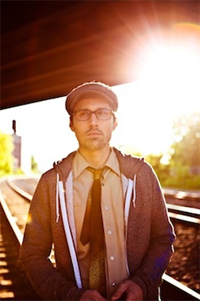 James Finnerty is a musician, composer, producer and sound engineer currently residing in Montreal, Canada. A recipient of the Campaign for a New Millennium Scholarship (2011), the Alcides Award in Electroacoustics (2011), the Hugh and Trudi Le Caine Award in Electroacoustics (2010) and the Concordia University Alumni Association Inc. Scholarship (2010), James is currently completing a Bachelor of Fine Arts in Electroacoustic Studies at Concordia University in Montreal. 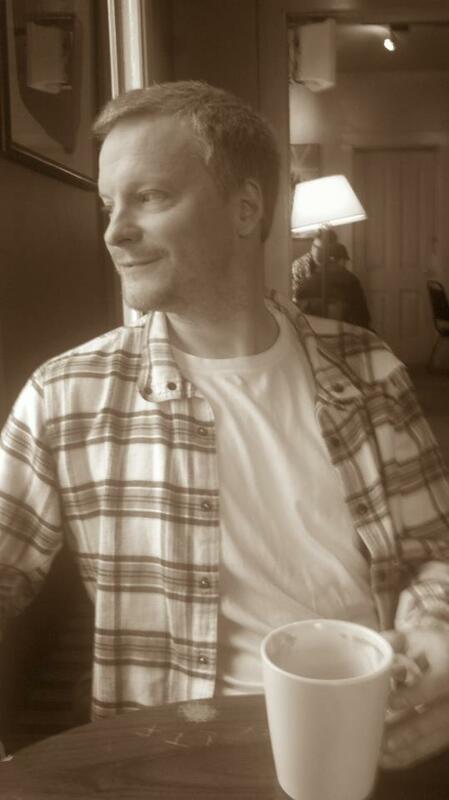 As a recording/mixing engineer and producer, James has worked on a several projects in many different musical styles, including, pop, rock, country, folk, classical, jazz and electroacoustic music. As a musician, James has contributed to several recordings and performed in a range of musical projects as a guitarist, vocalist and audio programmer; including a self-release of his own folk compositions. He has played guitar, bass and sang backup vocals with many bands in numerous live performances. As a composer, sound designer and editor, James has been developing his portfolio while attending the Electroacoustic Studies program at Concordia. His sound design and electroacoustic compositions have been exhibited at the VAV Gallery, Toronto Electroacoustic Symposium, L’Envers, Concordia Greenhouse, DB Clark Theatre and the NFB Cinerobotheque, He has contributed work as a sound engineer/ editor to a video game project in development for Sony Play Station, and as an extension of his composition practice he has recently started programming audio software for compositions combining laptop computer, piano and guitar. Most musicians use 12 standard tones and the familiar sound of the "Do, Re, Mi" scale as a guideline. But the 60 musicians involved in UnTwelve's 60x60 mix have a different idea about music. For them, it is about exploring tones outside the musical norm-within 60 seconds. Aaron Krister Johnson was responsible for the UnTwelve Mix and the Crimson Mix. Sabrina Pena Young is responsible for putting together the Athena mix. International composer and media artist S. Pena Young has premiered music and multimedia works at festivals throughout Europe, North America, Asia, and Australia at such venues as the Beijing Conservatory in China, Art Basil Miami, Collective Unconscious (NYC), the Deep Listening Gallery, and the Australasian Computer Music Conference. Pena Young recently published "The Feminine Musique: Multimedia and Women Today," an historical overview of the experimental arts through the works of notable artists and composers, and is currently composing the multimedia oratorio Creation for Millikin University. S. Pena Young has taught at Florida International University and Murray State University. Robert is the Music Coordinator or ‘Macro-Composer’ of the 60x60 Presenters Mix 2012. Robert Ratcliffe is an internationally recognised composer, sonic artist, EDM musicologist and performer. He recently completed a PhD in composition/musicology (New Forms of Hybrid Musical Discourse) at Keele University (UK). 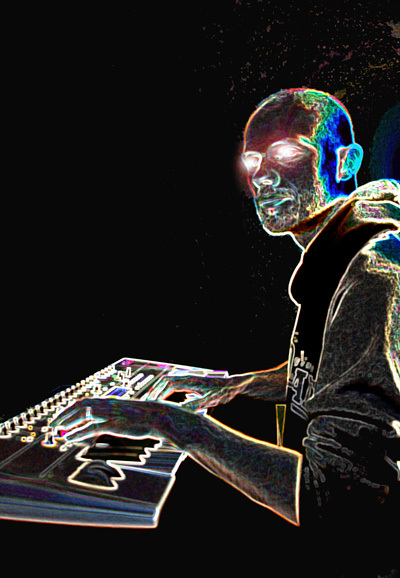 He is the first composer to develop a musical language and compositional technique through the cross-fertilisation of contemporary art music and electronic dance music (EDM). His hybrid works have been performed and broadcast in over 20 countries worldwide, including presentations at major events such as ACMC, ICMC, L’espace du Son, and NIME. Most recently he was invited to serve on the senior programming committee of the International Computer Music Conference in Slovenia. 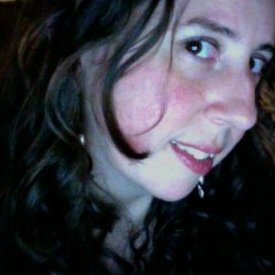 Melissa Grey is the Music Coordinator or ‘Macro-Composer’ of the 60x60 New York Minutes Mix 2012. 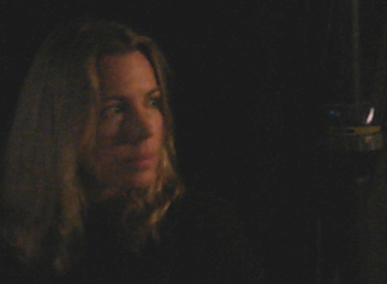 Melissa Grey is a NYC-based composer. Her projects include concert works for chamber ensembles, electroacoustic performances, field recordings, media installations, music and sound for film, video, and online publications. 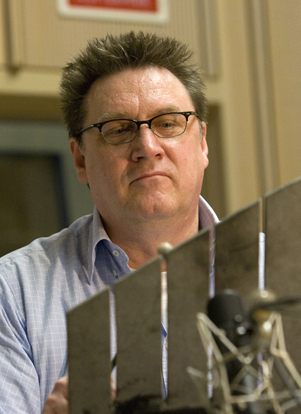 Thomas Gerwin is the Music Coordinator or ‘Macro-Composer’ of the 60x60 Voice Minutes Mix 2012.